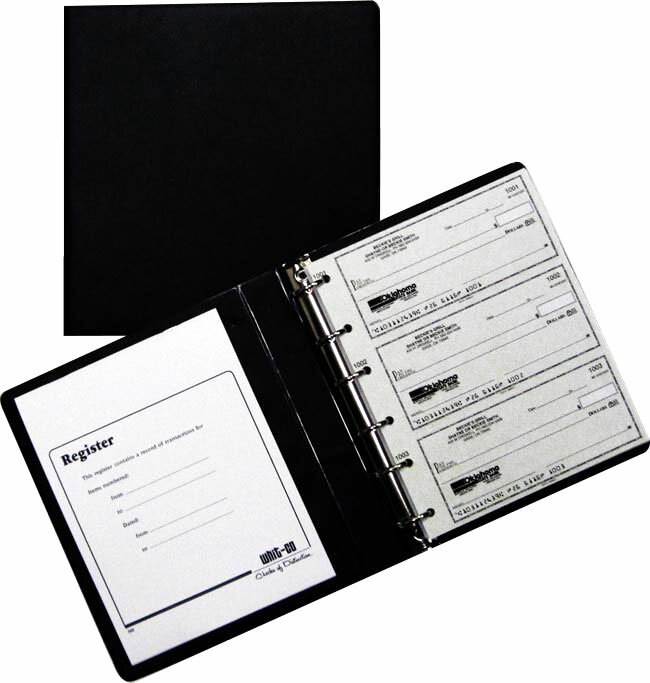 Three-on-a-page checks are permanently bound in a non-refillable black flexible cover. Black only. This popular binding style offers a 7-ring, refillable, hardback cover. Vinyl zipper bag is included. Metal rings open for easy insertion and removal of checks for typing or more convenient writing. 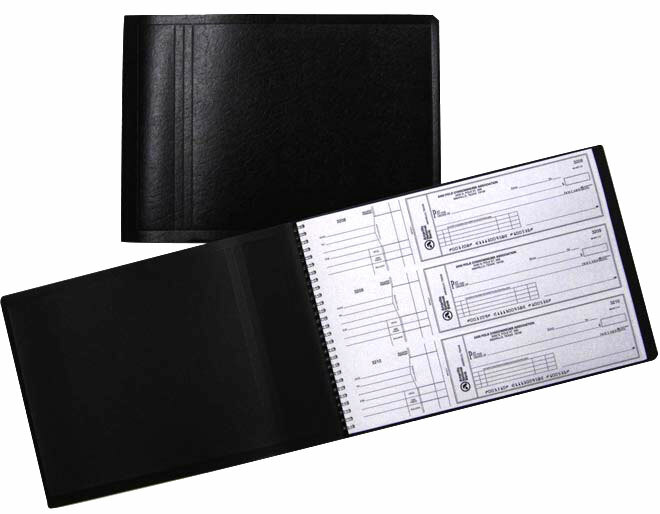 Binder holds over 500 three-on-a-page checks and is available in Brown or Blue. Check stub saver is included. 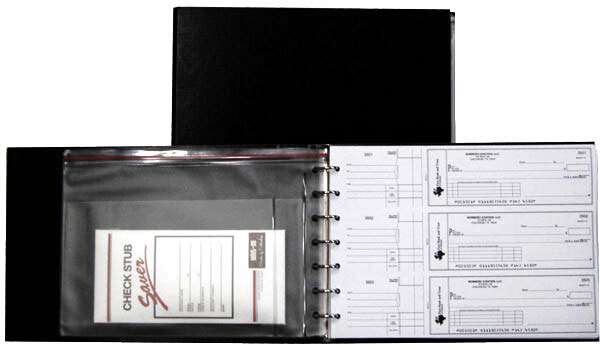 This popular binding style offers a 6-ring, refillable, hardback cover. Metal rings open for easy insertion and removal of checks for typing or more convenient writing. 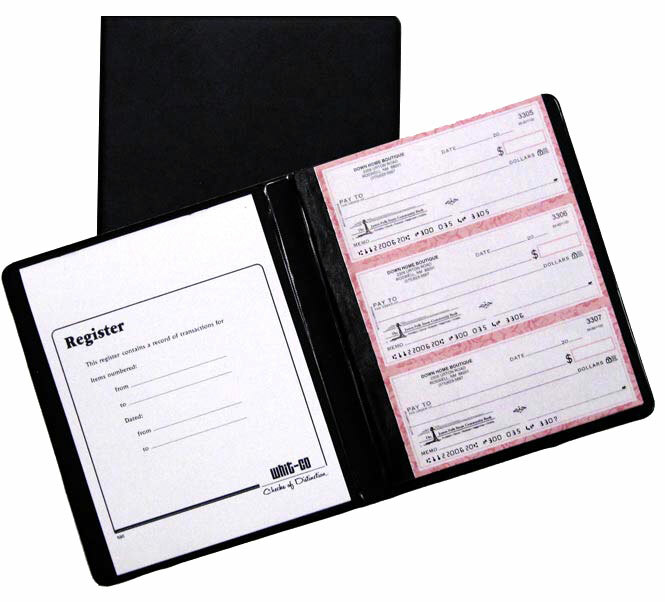 Binder holds over 300 three-on-a-page checks and is available in Grey or Blue only. Check stub saver is included. Designed for the budget minded household or small business. A convenient register is included....originally called slide in checks. Comes in blue and grey.